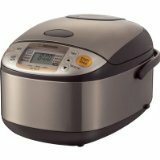 This 5-1/2-cup rice cooker and warmer makes 10 cups of cooked rice and includes a variety of cooking functions including white rice/sushi, mixed rice, porridge, sweet, brown, cake, steam, and quick cooking. This unit uses a black thick inner cooking pan that provides even heating for better cooking and has an interchangeable melody and beep signal to indicate when the cooking cycle has ended. Other highlights include a detachable and washable inner lid, an easy-to-read LCD control panel, and automatic keep warm, extended keep warm and reheating cycle, delay timer with two settings and a built-in retractable power cord. The unit’s clear-coated stainless-steel exterior not only cleans easily, but also matches any kitchen decor. Accessories include a spatula, a spatula holder, and a rice-measuring cup. 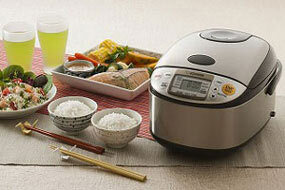 The 610-watt rice cooker and warmer measures 10-1/8 by 14 by 8-1/2 inches. This is a menu setting designed to cook delicious brown rice. In order to cook hard rice bran and the rice inside, preheating time is extended for better absorption of water, and is cooked at a lower temperature to allow the rice to cook longer without becoming mushy. Because sushi rice will be processed after it’s cooked, it’s easier to handle when it is a little firmer. This menu setting is very similar to regular white rice, but uses less water (adjusted by the water fill lines) for a firm finish. 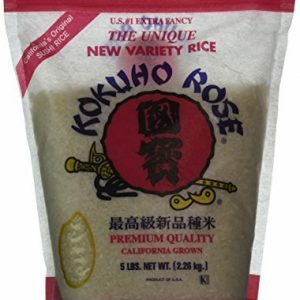 Mixed rice is rice cooked with additional ingredients and seasonings. This setting extends preheating for better absorption of seasoning. Also, the cooking temperature is slightly lower than regular white rice, to avoid ingredients from boiling over. Instead of cooking rice in larger amounts of water and risk making it sloppy, use the porridge setting to cook fluffy porridge. Cooking temperature is slightly lower than regular white rice, to be cooked longer for soft texture. Use the Cake menu setting to bake cakes inside the rice cooker. How’s that for versatility? Steam your favorite foods. 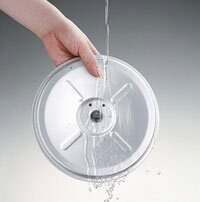 Steaming function can be lengthened or shortened by adjusting time setting. 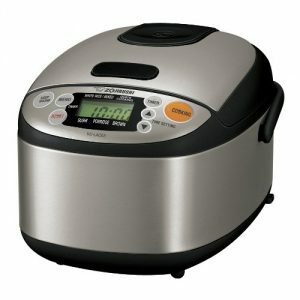 MICOM allows the cooker to have multiple functions on its menu, making it a necessity for any avid rice fan who wants to incorporate rice into her daily diet. 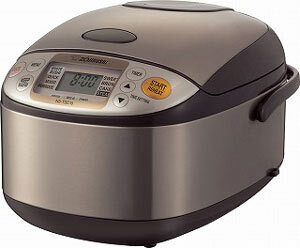 Conventional rice cookers simply turn on and off in reaction to temperature. The “fuzzy logic” of MICOM fine tunes this adjustment to adapt to various rice types, such as white, brown, sweet or porridge, which all has different cooking requirements. The trigger to everything is the thermal sensor, a small round button at the bottom of the inner body of the cooker. As the inner pan’s weight rests on it and activates the sensor, it starts the cooking process and keeps an eye on the temperature and time. Convenient detachable inner lid for easy cleaning. Black thick inner cooking pan provides even heating for better cooker. 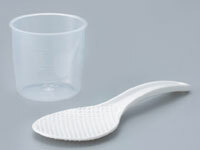 Accessories include rice measuring cup, nonstick rice spatula and spatula holder.